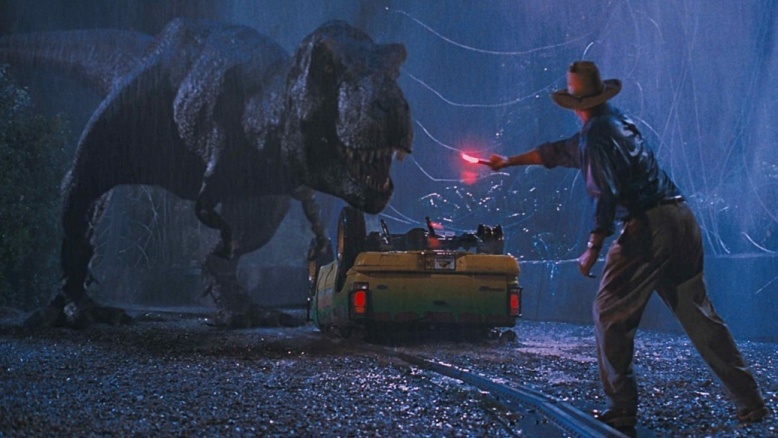 We all love Jurassic Park, but that isn't to say there aren't quite a few issues with the original movie. While it would be unreasonable to expect director Steven Spielberg and writers Michael Crichton and David Koepp (working from Crichton's bestselling novel) to know everything about dinosaurs and prehistoric eras, the film committed a number of easily avoidable sins, and glossed over stuff that should have been explained more thoroughly. 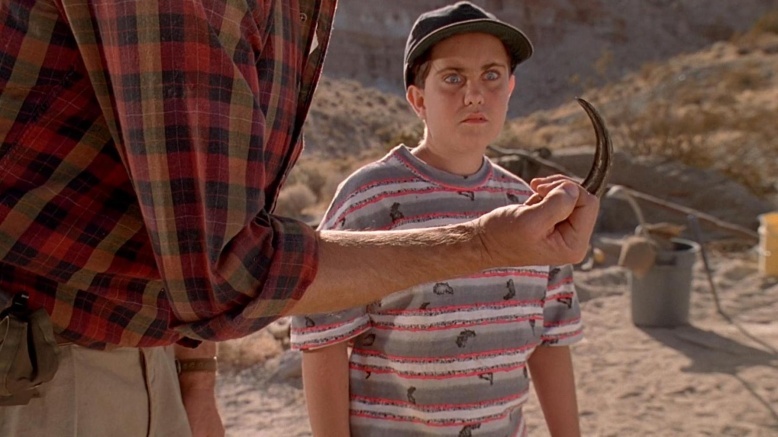 Without further ado, here's a look at the things that still bother us about Jurassic Park. 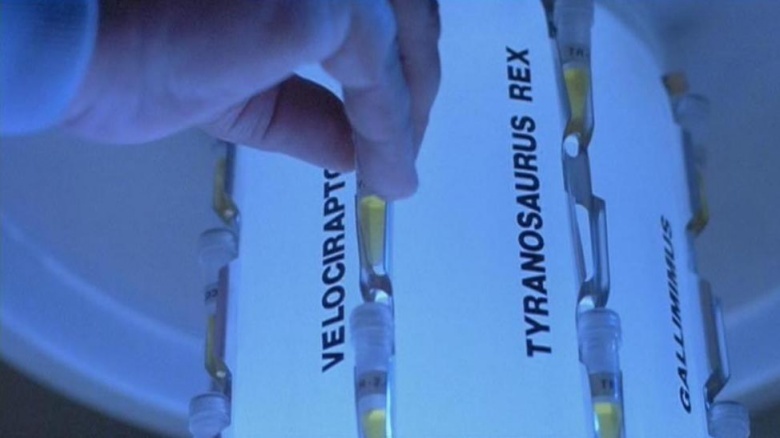 In the movie, park owner John Hammond's introductory video shows viewers how Jurassic Park is even possible: a super-scientific process that includes the extraction of dinosaur blood from mosquitoes preserved in amber. 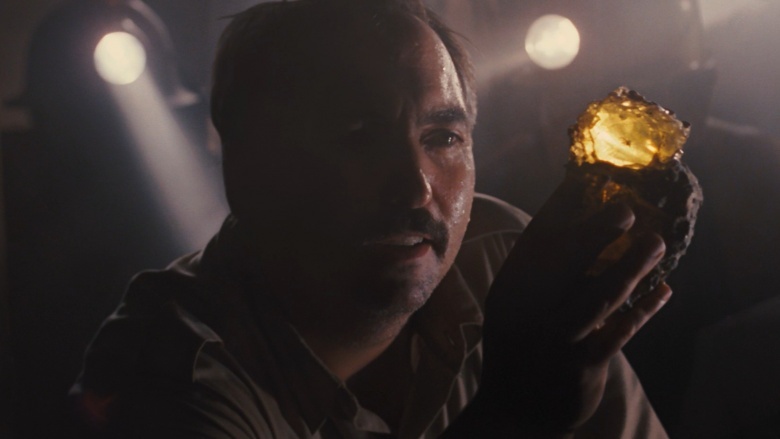 In the movie, scientists stick the needle into the amber, extract the dinosaur blood, and then, well, we know the rest. But in real life, extracting dino DNA from a 60 million-year-old mosquito isn't possible. Although the amber does preserve the mosquito nicely, time would still take its toll and the tissue would begin to decay. 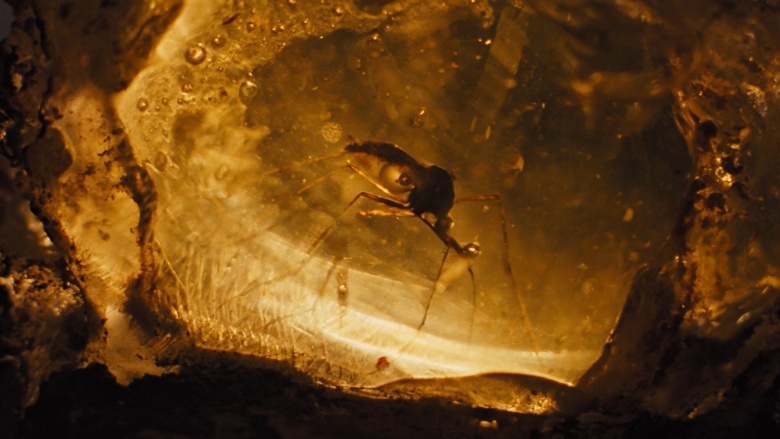 Jurassic Park's mosquitoes were unearthed near the Dominican Republic, but in reality, it simply doesn't produce fossils that old—the oldest amber discovered in the region only dates back 15 million years. 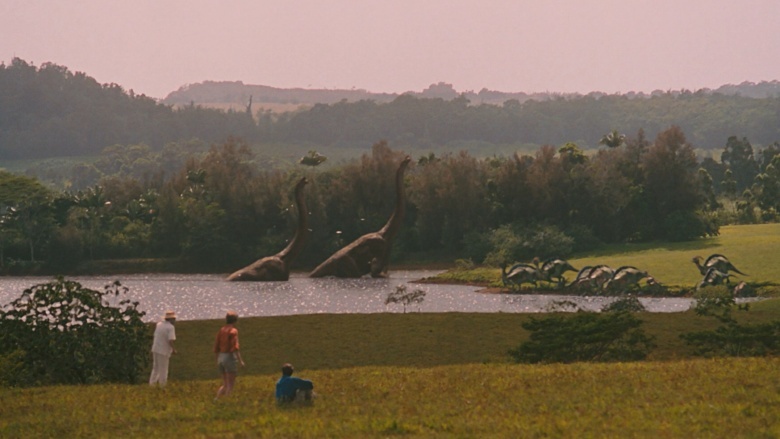 Sorry, Spielberg, you've still got nearly 50 million years to go before getting dinosaur blood. In the movie, paleobotanist Ellie Sattler observes and makes notes about Mesozoic plant life that somehow flourishes in the park. But how did the plants actually get there? We know scientists were able to recreate dinosaurs using the mosquito, but how were they able to reproduce and replicate extinct plants? Unfortunately, it's never explained in the movie. 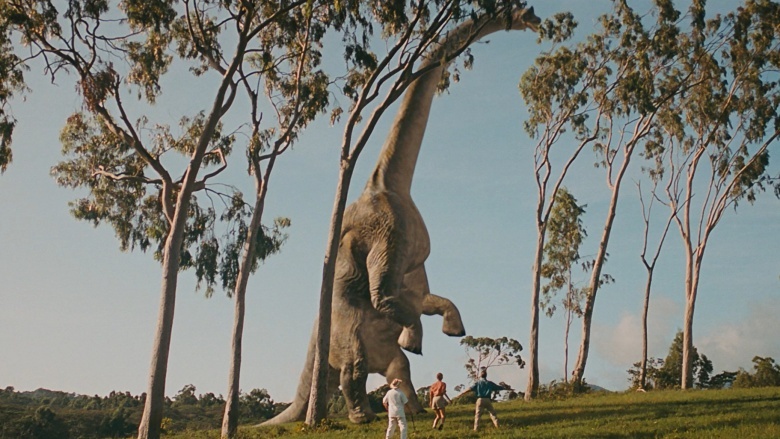 Jurassic Park features scenes in which brachiosaurs lean back on their hind legs alone to reach higher branches containing leaves—which are poisonous, by the way— for them to chew on. However, brachiosaurs weren't able to stand on their hind legs: they weren't built to support themselves that way. In the movie, the dinosaur DNA that's extracted from fossilized mosquitoes is buffed up and completed with frog DNA to fill in the missing sequences. This raises a number of critical issues, arguably the most important of which is the fact that filling in missing genomes with cross-species DNA isn't really feasible at all. But even accounting for suspension of disbelief, there are a number of closer relatives readily available, like birds or crocodiles. 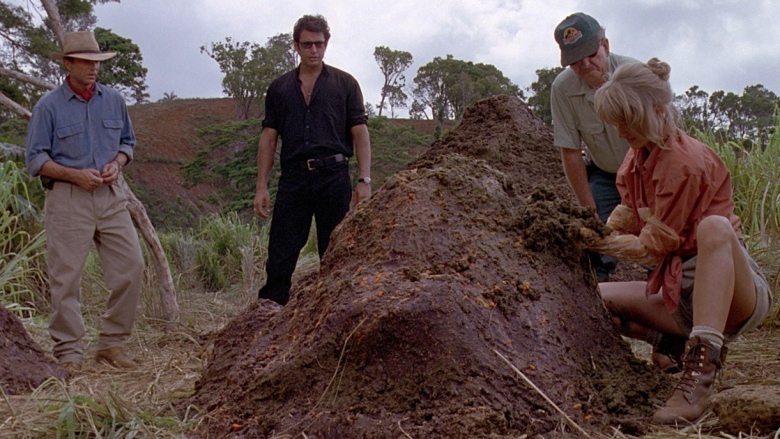 The movie shows Dr. Ian Malcolm stumbling upon a sick triceratops' heaping pile of dung, which he refers to as "one big pile of sh*t." While that has now become an internet meme, it's also quite an accurate statement: although we don't know much about triceratops poop, given the size of tyrannosaurus droppings archaeologists have found, it's highly likely that the giant pile of dino poop seen in the movie is way too big. A real triceratops wouldn't have been able to poop out such a gigantic pile, even after Thanksgiving dinner. How does that kid see the TV screen? Remember that kid at the beginning of the movie who notes the raptor on the screen "doesn't look very scary"? It sets up a fun moment, but when he says that line, he's not in a direct viewing angle of the TV. 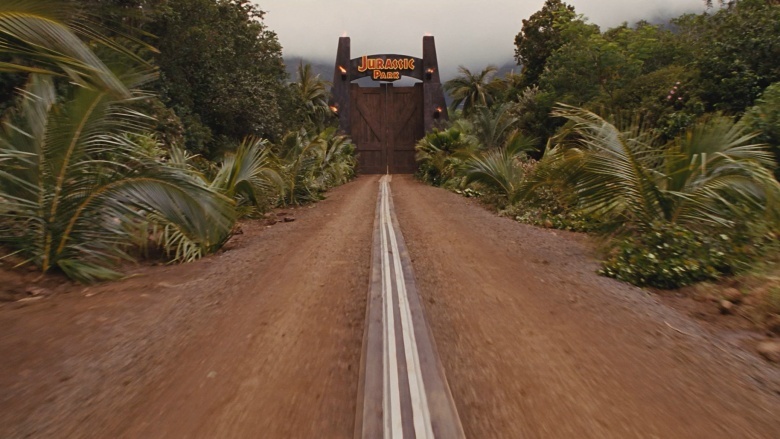 Although Jurassic Park is filled with little movie mistakes, this one in particular has always irritated us. The T-Rex is the opener? Anyone who knows anything about retail knows that the most important item always goes in the back of the store (like milk, bread, and eggs). 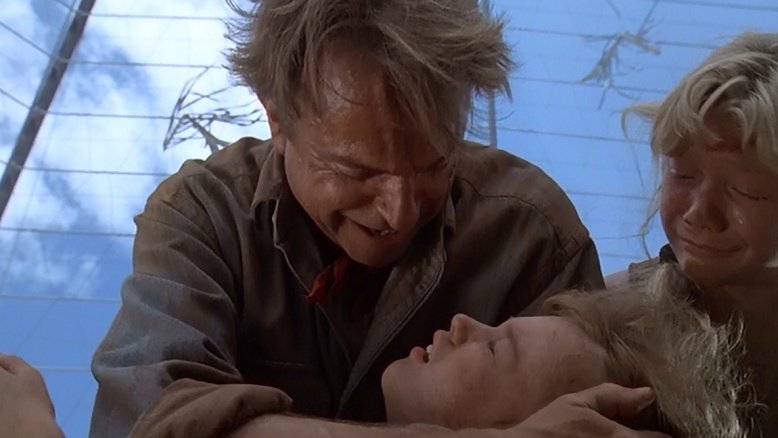 But notice in Jurassic Park that the T-Rex cage is the first thing seen upon entering. Wouldn't Hammond want to design the park so that the T-Rex is the finisher? Don't people typically save the best for last? Even if everything hadn't gone to hell in a handbasket, that design flaw might have doomed the park. Just saying. There are actually quite a few issues with the scene in which Timmy is "stuck" on the electric fence. For one, Dr. Grant is yelling for him to jump, but is standing 15 feet away from the fence. If Timmy jumped, he'd die or at least break a leg. The fence scene is also shot in a way that shows if Timmy were to walk a few feet further along, he'd see a gap that would prevent the entire situation from happening in the first place. Also, Timmy isn't grounded, so would the fence still actually shock him?